Sodus Point, April 20 – Indian legends teeming with romance and stories of James Fenimore Cooper and incidents which appear in his “Leatherstocking Tales” are closely linked with the early history of several islands which are situated in various parts of Great Sodus Bay which skirts the northern, eastern and southern sections of this summer resort. It was in this immediate region that bands of Iroquois braves hunted many of the fur-bearing animals which have long since ceased to exist and it was here that fish in abundance were taken from the bay, Lake Ontario and tributary streams. There are a few old-time settlers in this vicinity that recall the story of the coming of James Fenimore Cooper to Charles Point early in the last century (1826) and of his writings while occupying a roughly constructed shack on the point. 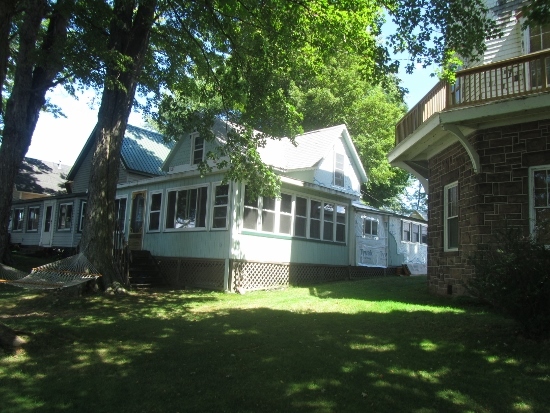 Cooper derived much of his color for sections of his novels while sojourning near Great Sodus Bay, according to the belief of early residents here. James Fenimore Cooper had two sisters who is said owned a cabin on Sodus Bay. In 1947, Henry Green wrote about the Cooper sisters: “near relatives of J. Fenimore Cooper and perhaps that was the reason that when he was writing the Last of the Mohigans he spent the summer on Point Charles (at Sodus Bay)….” (Great Sodus Bay History, Reminiscences, Anecdotes and Legends). The wife’s, of the very smart but dissipated Dr. Moses, maiden name was Cooper and her sister Emily Cooper lived with them throughout their married life. She outlived them both and for a long time after their death she lived in their house on the south side of Main Street on the lot that has the street number 45. 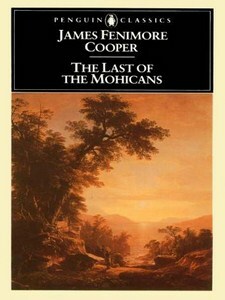 They were near relatives of J. Fennimore Cooper and perhaps that was the reason that when he was writing the “Last of the Mohigans” he spent the summer on Point Charles and that in one of the Leatherstocking series he made Leatherstocking describe a beautiful bay about forty miles west of Oswego, which could be no other that Sodus Bay which at the time of the story was on the maps as “Bay of the Cayugas”. He described another beautiful place on the lake shore about ten miles west of the bay, which would be Pultneyville and Leatherstocking said he would like to build a home there, marry one of the girls when he piloted through the forest, and live there the rest of his life. This is the location on Charles Point where the rustic cabin once was situated where James Fenimore Cooper is said to have written part of the Last of the Mohigans. It is currently owned by Sean Depew. Note the cottage that is there now was built much later in 1889-1890.